The gist: workflow automation and scheduling are two of the most popular time-savers for entrepreneurs to talk about. So much so, the difference can get confusing and the lines between ’em can get blurry and confusing. 🙈 That’s why we’re laying out the breakdown in this post: what they are, what the difference is, and the best times to use each! They’ve finally implemented all the “lifehacks” and “workhacks” and think they can’t get any more productive. You’re a master at efficiency. You’ve figured out your ideal energy management, batch your tasks, and eliminate distractions. Aaaand now you’re starting to slump. You’re not making as many improvements as before or finding as many new ways to save time. It can be frustrating to feel like you’re doing everything right and still not finding new ways to grow your business. But there are two things you can almost always count on to make a little more room in your day. EVERY DAY. They’re similar but different, and best used together. In this post, I’ll take you through when to do one versus the other, or nothing at all. 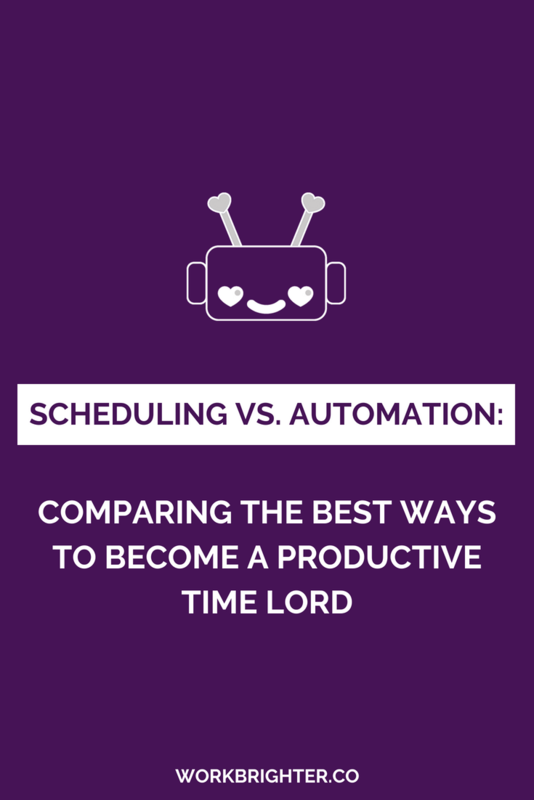 So, a lot of entrepreneurs use the terms “scheduling” and “automation” interchangeably or incorrectly. Let’s make sure we’re on the same page before we get too deep into this shindig. When you schedule work, you’re completing the work for a task before that task actually “happens.” Basically, doing something in advance and setting it up to run later. With scheduling, you’re still performing a task every time you need it to happen. Take scheduling social media. You’re still entering in every Facebook post and tweet that gets posted, they just get posted sometime later. But workflow and process automation…it’s a little different. In this case, you do the work once and it happens repeatedly. To stick with the social media example, social media automation is when you write a Facebook post or tweet once, and it publishes multiple times. Like with MeetEdgar. The major difference is how much work you’re putting in and when. Scheduling lets you do a little bit of work over and over again. Automation requires more work upfront, but all the work is completed at once. Once again, scheduling is like playing with time. You put in the work for a task at one point, but it “gets completed” at another. The most common way most solo business owners can use scheduling is by batching tasks. How many of the following things do you do? Yep, those are all examples of both scheduling in general, and batching tasks specifically. Scheduling is best for tasks that have inconvenient timing. You’d have to like, set alarms for all the times your audience was online, make sure you hear it and are available at ALL times, and then log in to Facebook, Twitter, etc. and bang something out the alarm when off. They’re tasks where you still need to put in the work manually each time – there’s a level of customization required, or else you’d automate it completely. So the best tasks for scheduling are also custom or infrequent tasks. As an entrepreneur or freelancer, scheduling should be your best friend. You have a ton of hats to wear, and it lets you wear one at a time. You batch social media, and you’re wearing the marketing hat for a few hours. Then you switch to your accountant hat for an extended period of time for billing and expenses. When you bundle stuff together, you’re not trying to do more than one thing at a time or switch back and forth constantly. 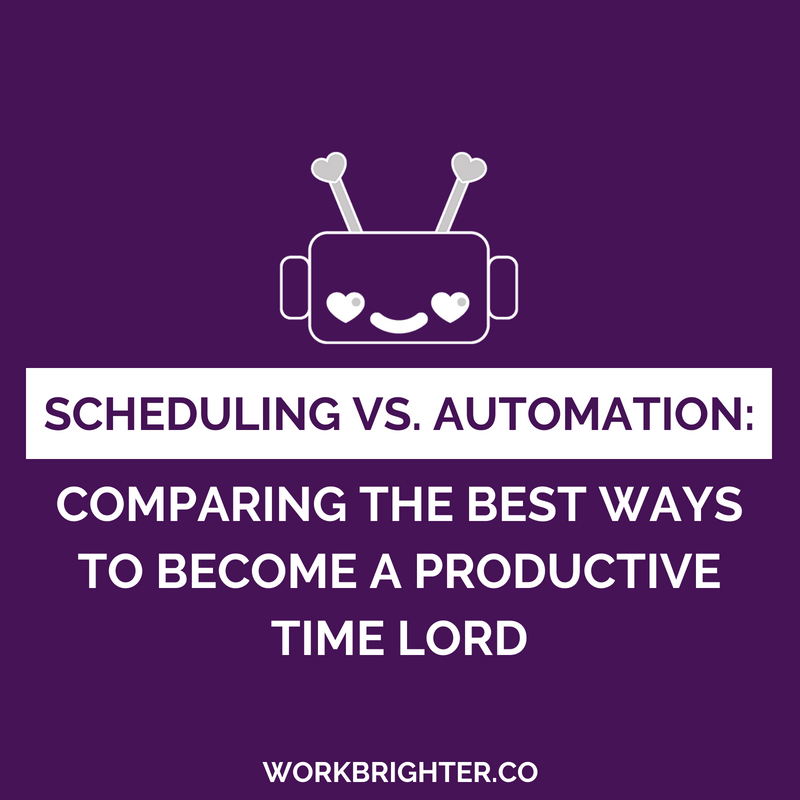 Scheduling is like “automation light.” You’re completing the work for each task, but changing the time. With automation, you only complete the work for that first task, then it re-occurs automatically based on rules you make up. You basically become a wizard. You can put in the work once, and then software or tools take care of it for you every other time. Welcome to the future. You do them over and over again. Even if they only take one or two minutes at a time, you’re doing them several times per day or week. You do them the exact same way every time…or close to it. It’s bland. It’s mundane. It’s generic. If both of those describe a task pretty well, it’s not worth your time long-term. Put some time in now and save more time later. 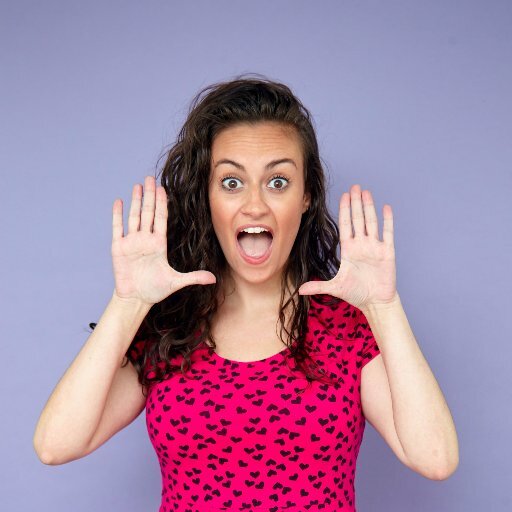 Automation is great for any solopreneur who has a lot of totally set routines. Like sending the same customer/client service response over and over. Or promoting the same blog post on social media. And even if you do automate them, you can probably take it further. We all can. Now, there’s one more way to save time that I haven’t mentioned yet. Because it just combines the two we’ve already talked about. Some tasks can be mostly – but not completely – automated. They’re pretty repetitive and generic, but do need some amount of manual work from you each time. Say, a little bit of personalization. Not all the work is done upfront, but a significant portion is.